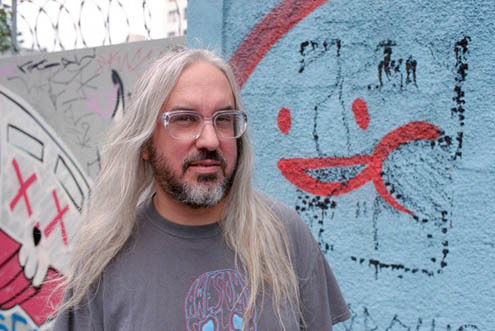 J MASCIS – SEVERAL SHADES OF HUH? Folk-rock troubadour J Mascis makes his long awaited solo-acoustic tour appearance this summer appearing at The Falls Festivals in Marion Bay and Lorne and for a series of headline shows along the East Coast. Mascis has toured Australia in solo mode before of course, both as a headliner and as support to Sonic Youth, but this tour is the first to feature J and an acoustic guitar and comes off the back of his impressive debut solo-acoustic release and his first for Sub Pop, Several Shades of Why. And though the electric may have been swapped for an acoustic the intensity and even the decibel levels remain intact (relatively) as does Mascis’ ability to tear shards out of his instrument whether it be hollow or solid bodied. Check-out the fabulously freaky videos for Listen to Me and Is it Done from Several Shades of Why and don’t miss J Mascis, live, this January. All headlines shows on sale Monday 17th October.